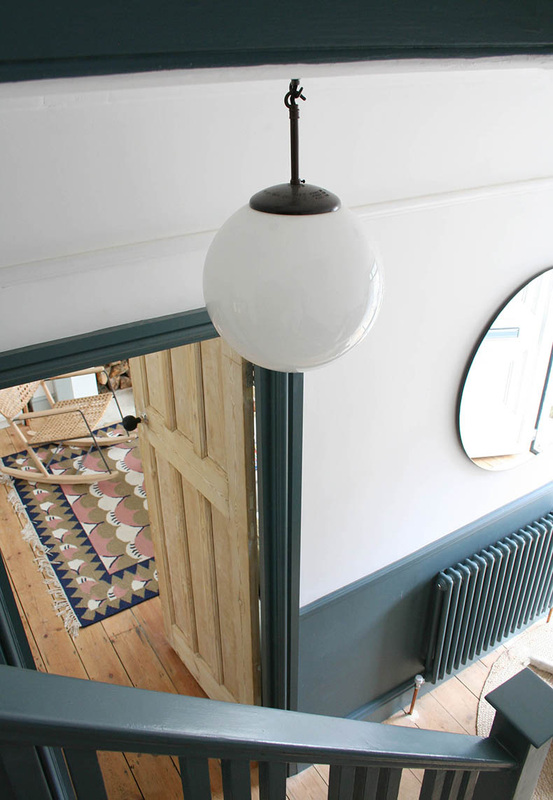 skinflint: How did you get in to starting an interiors blog? 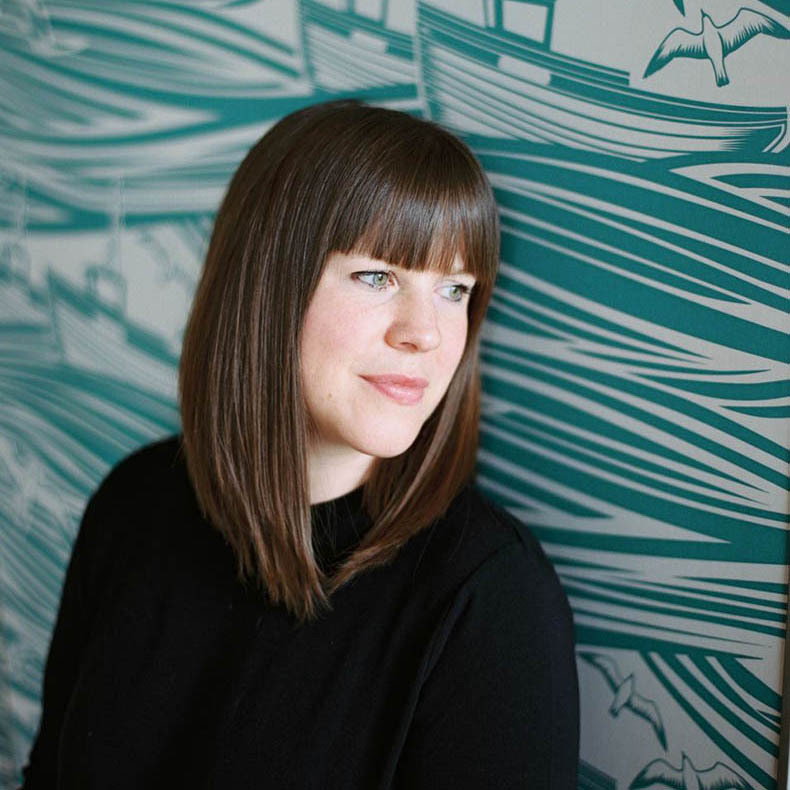 Katy Orme: I’ve always loved beautiful furnishings and would redecorate my bedroom every year as a teenager. After I bought my first home my obsession with interiors grew to the point that friends would call on me for help with designing their homes. At first I started my blog as a hobby to document my DIY, craft-makes and the room makeovers that I would love to do. Over a year my blog got more and more popular and pretty soon it became obvious that I could turn it into my job. 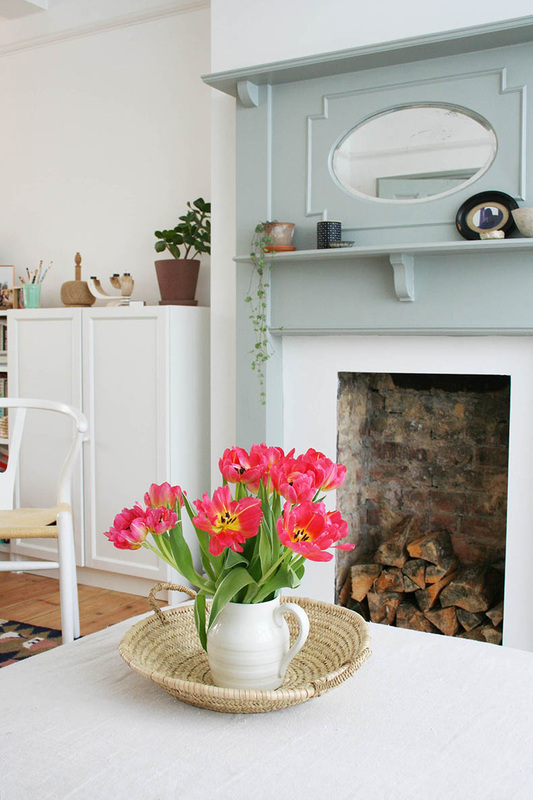 What are your top tips for renovating a 1930s townhouse on a budget? I think it’s important to emphasise and/or replace the original features. We reinstated fireplaces that we sourced for a few pounds each on eBay, restored the original picture rail and floorboards by sanding them ourselves, and got our internal doors dipped and stripped for just £20 each. 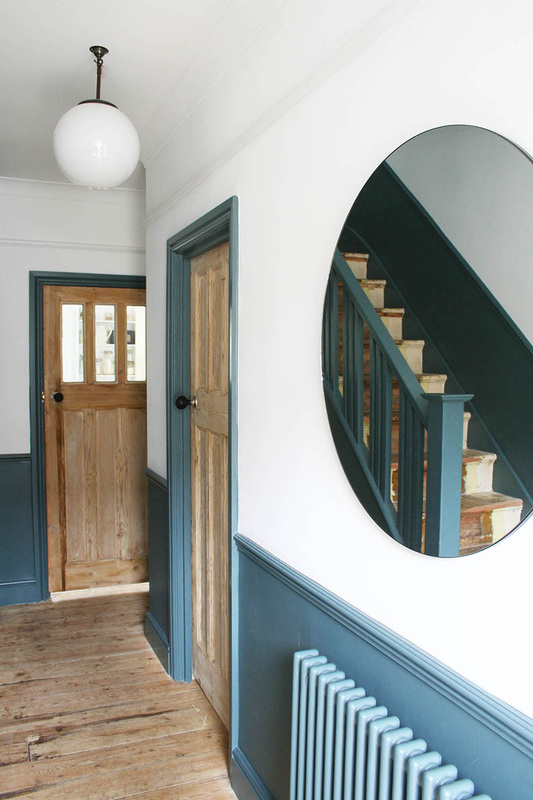 A good way of showing off the original features is to paint the woodwork with colour, which doesn’t need to cost much at all. 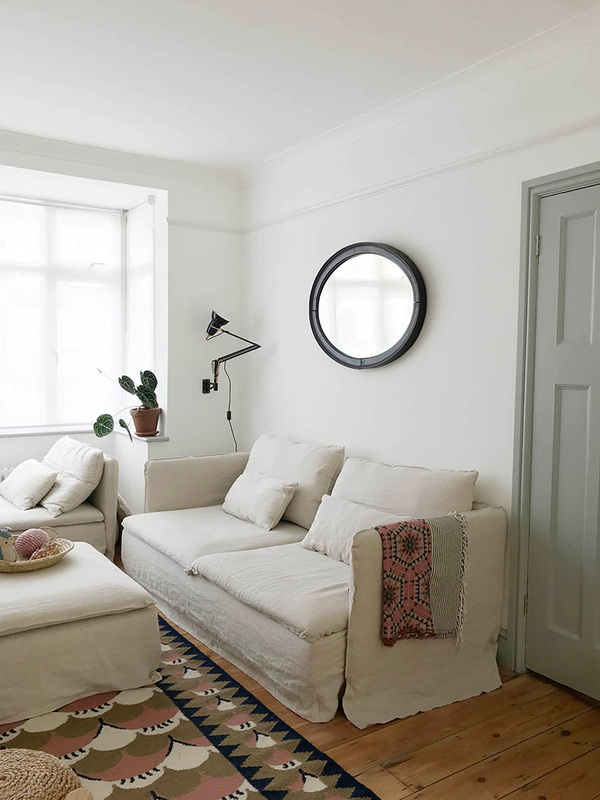 If you have the budget, I would recommend opening up the living space downstairs by knocking down the walls between kitchen, dining and living rooms as the separate rooms can be quite small in some 1930s houses. Have you always been DIY-savvy or have you had to become so?! Hmmm, I think my partner might say that I have good DIY ideas but not necessarily the skills needed to execute them as he often gets roped in to help! 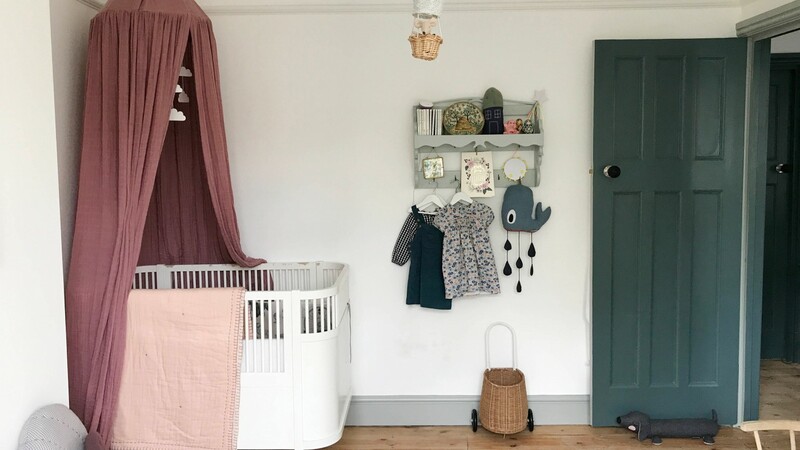 I have learnt quite a lot since starting the blog but generally I’ve always tried to make what I have stretch as far as possible so often DIY projects are the only option. What’s been your best DIY achievement and worst disaster to date? I loved a project I did in my last kitchen, which involved turning £1 leather bookmarks into kitchen cabinet handles. They turned out brilliantly and made such a difference to the room. We did have a bit of a disaster in our current house when finishing our floorboards as the stain we used looked awful so we had to completely re-sand it and start over. Very annoying! How do ensure your home is kid-friendly yet stylish? I use baskets to store toys and have tried to choose textiles that are very forgiving e.g. rugs with lots of patterns to hide dirt and sofas with washable covers. I also just generally try to make my home as clutter-free as possible as that helps a lot on both fronts! Our hallway was completely stripped out during our renovations so we got to start from scratch. However, I made a big error at the start of the process by missing out an electric point in the hallway for a lamp, so we were left with very harsh, incredibly bright spotlights - not very welcoming at all! Therefore, the hallway had a lovely new paint job, the original floorboards and the doors all beautifully restored but none of it looked good because of the dreadful lighting. We learnt the lesson the hard way that the very first stage of planning electrics is incredibly important and you need to think carefully about the size of the room, the type of lighting you’ll need according to the tasks you perform in the room or the ambiance you want to achieve. Why did you choose this particular vintage light from skinflint? I was desperate for a solution to our lighting issue that didn’t involve paying for the electrician to come back but I was worried that swapping the spotlights for a pendant light wouldn’t achieve a nice, warm light as some pendants can direct the light downwards creating unpleasant shadows. However, the vintage Czech opaline light I chose is perfect as due the shape and quality of the glass it emits a very even, soft light with no shadows. Not only does the light itself look amazing and create a wonderful focal point in the hallway but it makes the space feel so much more welcoming and cosy. We have used a Smart LED bulb that I can control on my phone and change the tone and brightness of the light, which is ideal. Apart from the vintage lighting, what are your other favourite interior elements at home? I think it’s very important to mix vintage and new to give a space character and personality. I also enjoy finding beautiful textiles like rugs, throws and cushions to make a space feel as cosy as possible. A good sofa is so important to cosy nights at home. A radio. I have it playing all the time when I'm at home. A cordless vacuum is a must have with a golden retriever and toddler! What’s the next project you’re going to be getting your teeth into?